One of the best benefits of a vacation in Ireland is the island’s size – it’s compact enough to see everything in a fortnight, and driving yourself is the best way to do it! Freer spirits will enjoy the ability to make their own way around the Emerald Isle. 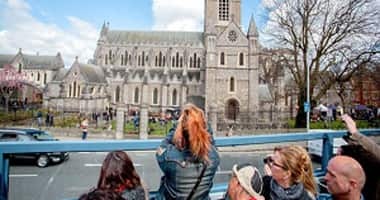 Go Irish Tours provides a wide selection of self-drive vacations to Ireland, and we’re sure there’s a tour to suit you. Self drive Ireland tours are ideal for people who enjoy the freedom to go at their own pace and make their own plans. Go Irish Tours will provide you with a rented car for the duration of your tour – we will also plan accommodation and your vacation itinerary. One of our trained staff members will be assigned to you specifically, and will be available to provide assistance whenever you need it. The beauty of our Ireland self drive tours is that you have the option to make your own way to everything, finding hidden gems and making unplanned stops along the way. You don’t have to answer to anyone but yourself, and you’ll have the flexibility to truly make your vacation special to you. Our self-drive tours of Ireland are entirely customisable. Pick and choose from our long list of options to build your dream vacation. We have options for short getaways or luxury trips, and our tours can be modified to fit any budget. 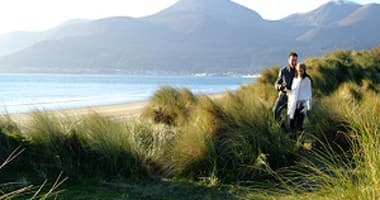 Go Irish Tours provides short Ireland self drive tours ranging from 5 to 7 days long – perfect for a mid-year getaway or a romantic honeymoon. Our briefest break on offer is the Short Break Away (5 nights). 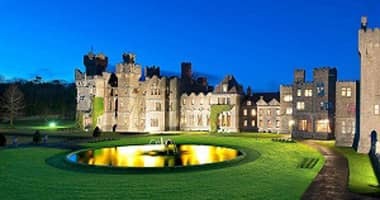 The five-night vacation takes you from Dublin through Cork, Kerry and the Midlands, providing the perfect taste of Irish culture and history. Drive Ireland in style, guiding yourself through sprawling cityscapes and rolling green hills alike as you vow to come back again and see it all! We also offer a Honeymoon Tour (6 nights). This idyllic driving tour of Ireland is short and sweet, perfect for newlyweds with a passion for adventure. You’ll fall in love with Ireland over the course of six nights, cozying up in castles and driving through the most romantic scenery on Earth. This tour is the perfect way to treat yourselves after the hustle and bustle of planning a wedding. Our Southern Loop Tour (7 nights) is a fantastic introductory trip to Éire. This week-long escape draws a ring from Dublin through the south half of the island and back again, stopping in Cork, Kerry, Clare, Galway and the Midlands. Enjoy getting to grips with Ireland’s roads as you explore hills, valleys, mountains and villages behind the wheel of your personal rented car. This self-driving tour of Ireland will leave you dying to visit again! Go Irish Tours offers a selection of medium-length self-drive vacations stretching all across the island. These trips are designed for those with a little more time and a freer budget, and make for a great summer getaway. For those with a little more time and a flair for the dramatic, our chilling Haunted Ireland Tour (8 nights) is on offer. This spooky self drive tour of Ireland is bursting with Irish culture, mythology and legend. Explore haunted castles and twisted woods, learning of our fantastic folklore and its origins. 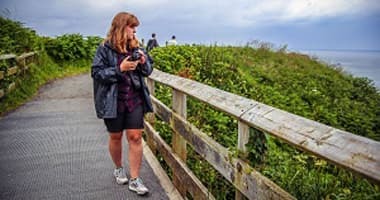 This tour is a truly unique way to explore Ireland on your own. Our Relaxed Pace Tour (9 nights) is perfect for people who like to stop and smell the roses. This vacation is in no rush, and is ideal for those with a little extra time. You’ll drive from Dublin through the gorgeous countryside of the island, visiting places such as Kerry and Galway. If you’re looking for a break from the madness of daily life, this tour is for you. Treat yourself to our Live in Luxury Tour (10 nights), the fanciest of our mid-length ireland self drive tours. 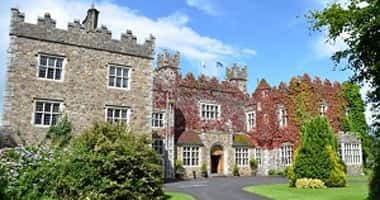 This tour is both indulgent and interesting, offering up luxury meals and overnights in manor houses, five-star hotels and resplendent castles. 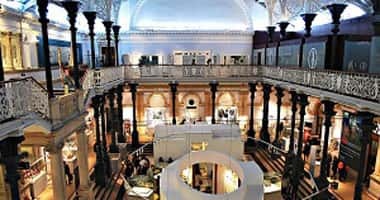 Drive yourself from place to place in style, pausing to take in the finer side of Ireland along the way by exploring museums, abbeys and national parks. If you would like to spend a short time in Ireland and still experience it’s beauty, then our 5 night tour is perfect for you. Our long self-drive vacations really are something special. These tours are the best of the best, bucket-list entry trips that encompass everything it means to be Irish. When it comes to self driving tours of ireland, these three vacations are cream of the crop. Our Historical Ireland Tour (11 nights) is designed to showcase the long, rich and colourful past of our fair little island. Ireland is bursting with sites of historical importance, including Kilmainham Gaol and Croagh Patrick. As you drive through cities and countryside you’ll learn more of our struggles and culture, watching the past come to life. The Wild Atlantic Way (12 nights) is an absolute must-do, once-in-a-lifetime trip. 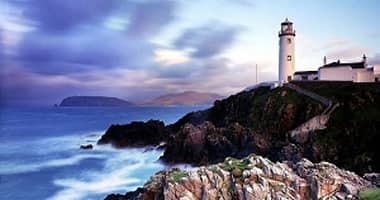 This self-drive vacation stretches from Malin Head to Mizen Head, the northern- and southernmost points in Ireland. Drive alongside the gorgeous coastline, atop cliffs and through coastal towns. This tour is perfect for adventurous souls! The longest of our Ireland driving tours is The Full Circle (14 nights). This bucket-list vacation is a fortnight long and will take you on a complete journey of Éire. 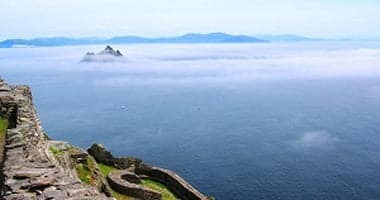 Drive the island yourself, discovering little-known spots and wandering off the beaten path to see Ireland your own way. This vacation will truly be the best one you’ll ever take – we promise! As you can see, Go Irish Tours provide the very best in self-driving vacations of Ireland. 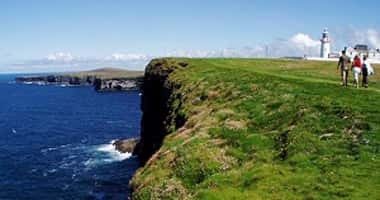 Our experience spans over a decade and our staff are expertly prepared to help you get the best out of our Ireland car tours. Click here to enquire about booking one of our Ireland driving tours today. We can customise any vacation to suit your needs, desires and availability. We want to ensure you take a vacation to remember for all the right reasons. If you’re interested in Ireland and Scotland self drive tours, please don’t hesitate to get in touch for more information. Your best driving tour of Ireland is just a click away!